A unique compact freestanding designed tub that is great in limited spaces. Top widens out at one end to accommodate deck-mounted faucetry. It has a textured bottom. End drain design provides more leg room. Rolled rim adds to the beauty. 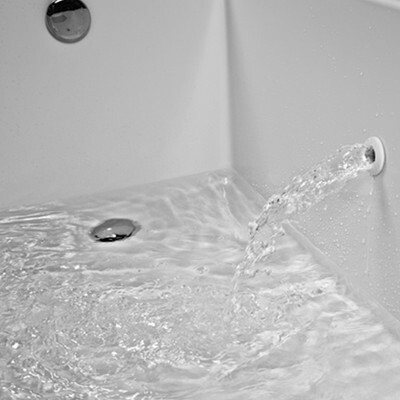 Choose the Virtual Spout option and the tub spout is integral to the tub. Only the hot and cold controls are needed. 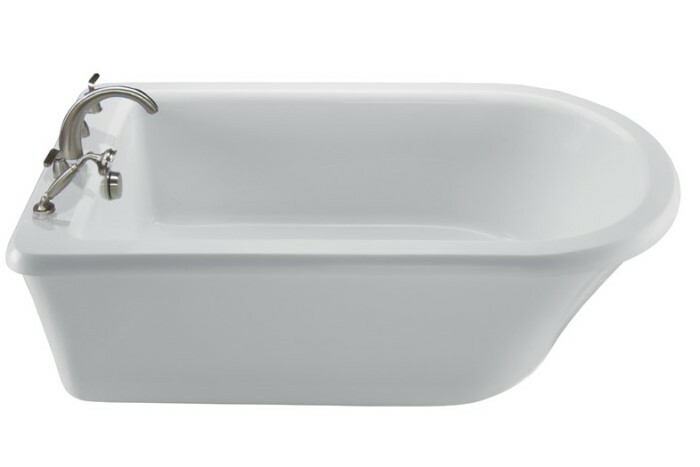 Tub Size: 66" x 36" x 22"
Bottom Interior: 46" x 24.5"
The Virtual Spout is installed below the water level of the tub. MTI supplies a Wilkins dual check valve and an Acme in-wall atmospheric vent to prevent backflow into the	potable	water supply. However, some areas of the country require additional backflow prevention	when water is introduced to	the	bath below the water level (check local codes). NOTE: Tub includes an access panel (standard) for drain or Virtual Spout installation, and protrudes 1/2" from the drain end of the tub. Depending on how the tub is positioned, the panel may be visible. 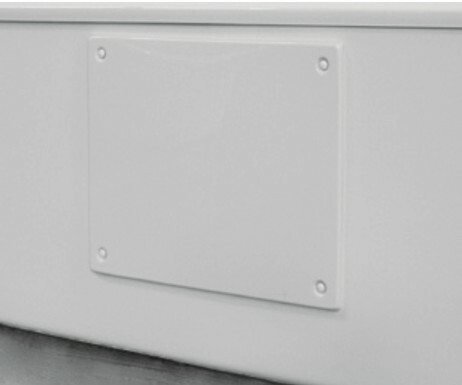 Access panel can be eliminated by request, which	will	increase	installation	difficulty. Must specify on order. Not available separately, must be ordered with the tub. Facilitates a fast and easy installation to tub drain tailpiece. The tub tailpiece is dropped into a water-tight connection. Easier than traditional drain connections. The top plate assembly is removable for servicing and includes a removable cap for pressure testing if needed. Are ideal for situations when needs are more simple, the budget is thin or the delivery needs to be quick. This selection includes a variety of tubs in the most popular shapes and sizes, and at a very affordable price. Available as soakers, air baths and whirlpools, MTI BASICS tubs are handcrafted, water-tested and quality-inspected. These tubs are the perfect choice for secondary baths and simple replacement remodeling projects. In fact, any situation in which you want to skimp on cost, but not on quality. MTI's goal is to provide customers with handcrafted, quality products that will last.